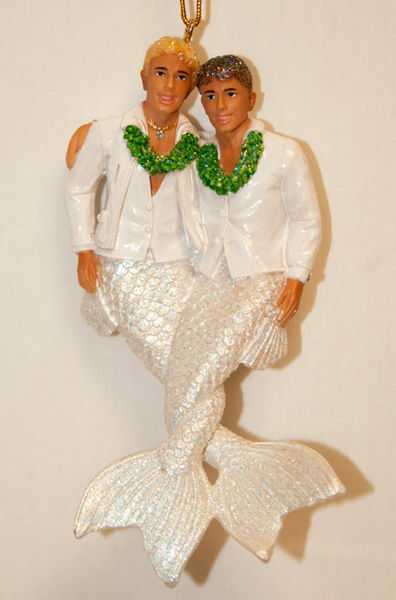 2 Grooms mermen wearing their matching solid white outfit. Resin material, hand painted, 7.5" tall. approx.